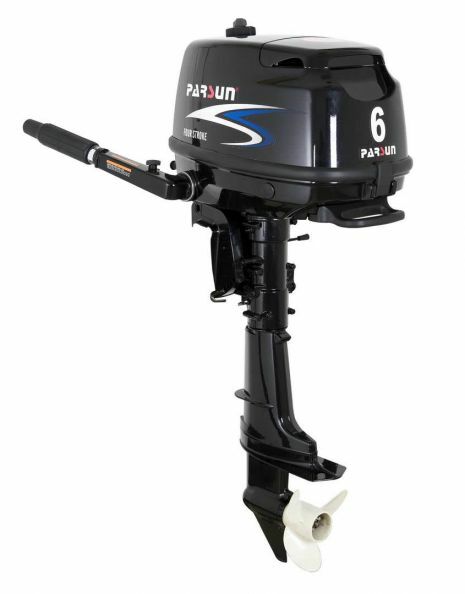 Parsun 6HP Portable 4 Stroke Outboard Motor. 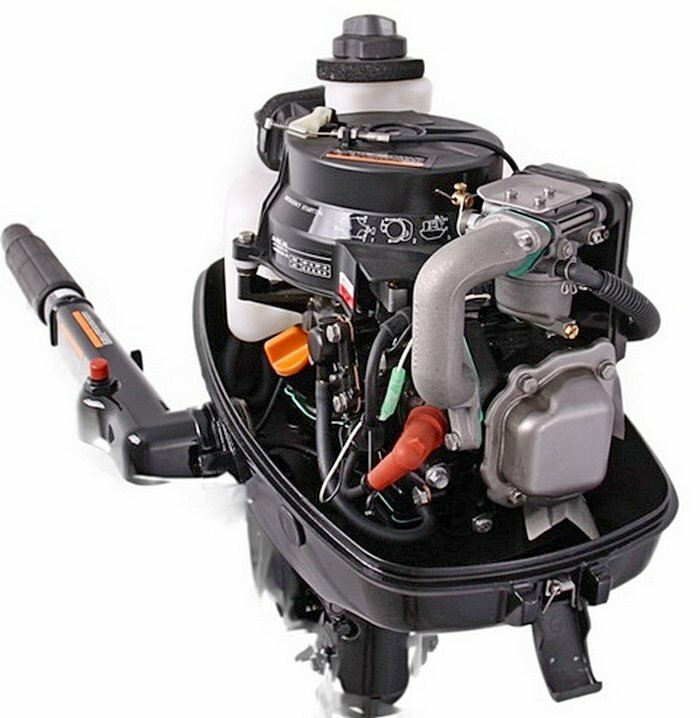 More powerful 6HP outboard motors are best for KaBoats SK430 and up. 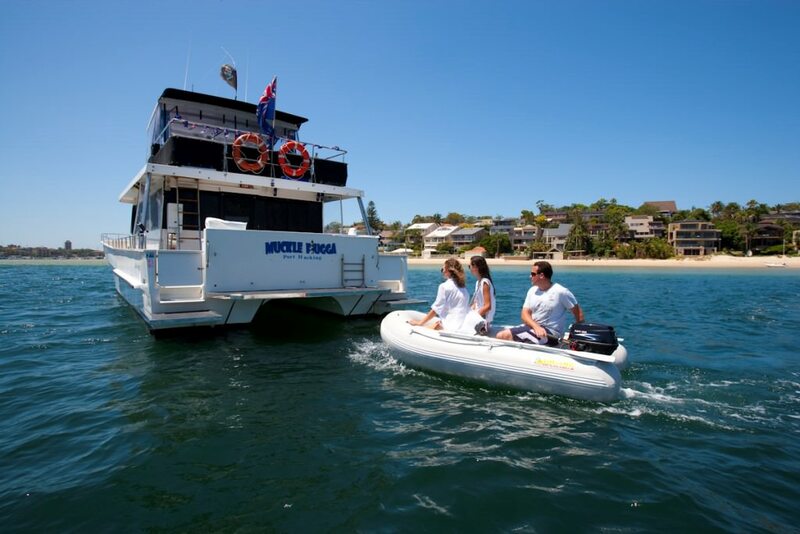 Also, will work for all inflatable dinghy boats SD260 and up. Will push smaller boats faster. KaBoats, due to narrow profile, will run nicely with 6HP outboard. Larger boats, such as SD330 and up, might not get on a plane with 6HP motor, but performance can be improved by adding hydrofoil wings, tiller extension handle, and re-arranging weight load toward center and front of the boat. Parsun has been making outboard motors since 1968, constantly improving its designs and reliability. Parsun motors has been sold in Europe, Australia and South America for many years. Parsun also has been sold in USA under several different brands. Parsun motors shares many design features with Yamaha outboards, making it easier to repair and service. In an constant efforts to make boating more affordable, we are now offering Parsun outboard motors at discount prices. Parsun in Chineese company. And despite prejudgment about many products made in China, it has to be admitted that quality has improved significantly over many years of manufacturing. Spiral bevel gear more quietly, higher reduction ratios with longer life. High strength clutch gives more reliable and better performance. Bigger displacement 5% more power output. Use ball bearing and needle bearing for driver shaft better performance. Wet-sump, forced bath lubrication system protect the engine better. Low fuel consumption max 2.3L per hour, Ultra low emission with EPA approved. Large carry handles for convenience and comfort. Easy to use steering and large shift lever. Built-in 1.3L fuel tank. 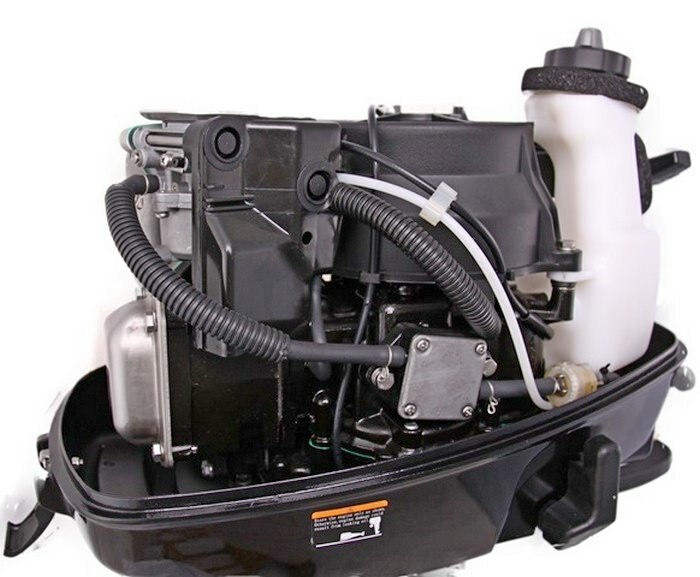 Position oil leak-free storage system: 3-position oil leak-free storage system offers an easy way to store your engine, whether you're carrying it in a boat, a car, or a trailer. Parsun outboard motors had been PDI (Pre Delivery Inspection) before packed into the box and ship. Motor oil had been drained out for shipping. This motor use regular 4 stroke motor oil SAE 10W-30, 0.8L. Please add 0.8L motor oil & fill up with the 87# gasoline before start the motor. Please keep the motor manual & packing for servicing the motor. YouTube video of Parsun 6HP motor. Click here for more videos. Two years limited warranty applies to all new Parsun outboard motors that purchased from Parsun (USA) within continental United States. SPECIAL NOTICE TO BUYER: PARSUN MOTORS ARE ALL TESTED AT THE FACTORY BEFORE BEING SHIPPED. PLEASE READ THE MANUAL BEFORE USE. LEG OIL IS FILLED. PLEASE ADD MOTOR OIL (10W-30 OR 5W-30) BEFORE TRYING TO START IT. HIGH GRADE (#91 OR UP) GASOLINE IS RECOMMENDED. CUSTOMERS WITH ANY QUESTIONS ABOUT THE MOTORS SHOULD CONTACT PARSUN SUPPORT AT 1877-907-7766. ALL SALES ARE FINAL. RETURN ARE NOT ACCEPTED DUE TO MARINE SAFETY ISSUE.